sailboat. : Skincare | Back to Basics. After weeks of incredibly sensitive skin with dry patches & blemishes galore and nothing in my skin care routine that was helping I decided to go back to basics. At the moment I have a two product routine and my skin is thanking me for it. I think I am going to slowly introduce a couple of extra things into my routine, a face mask, an eye cream, and perhaps an oil or a serum if really necessary, but going forward I do still want to keep my routine very simple. This used to be one of those products that just did nothing for me, but my skin has changed so much over the years so I gave it another try. I also kept getting samples in various beauty boxes and I'm pretty sure that was some kind of sign from the universe or something. When reading blogs regularly it can be quite easy to get swept up in the hubbub of new releases and I've tried a lot of different products promising to do various things, but I've learnt that for me, gel cleansers are too drying and balms are too heavy. Cleanse & Polish is a cream formulation and it's one I'll be sticking with because it seems to suit my skin type perfectly. I've already repurchased so I'll have a back up for whenever this tube runs out, which I almost never do so this cleanser is the real deal. After sifting through my skin care stash I've realised that I'm incredibly fussy when it comes to the texture of moisturisers. They must be hydrating, but they can't be too thick or take too long to sink in. I thought that because my skin was dry and dehydrated I should be using a combination of scrubs, oils, serums and moisturisers, but really my skin seems to respond best to simplicity. I'm not sure whether this is my absolute perfect moisturiser just yet because I've only been using it for a couple of weeks, but it has been keeping dry areas at bay and I haven't had any reactions to it so I'm going to stick with it. It's quite similar in texture to Origins GinZing and the Vichy Aqualia Thermal moisturisers, both of which I love but unfortunately aren't cruelty free. This thankfully doesn't have an overpowering scent and it sinks in almost immediately, leaving my skin feeling soft and perfectly hydrated. It's £20 but that's for a jar with a whopping 120ml of product, so it's a pretty good deal & I'm hoping it will continue to work well for me. What is your must-have skincare product? 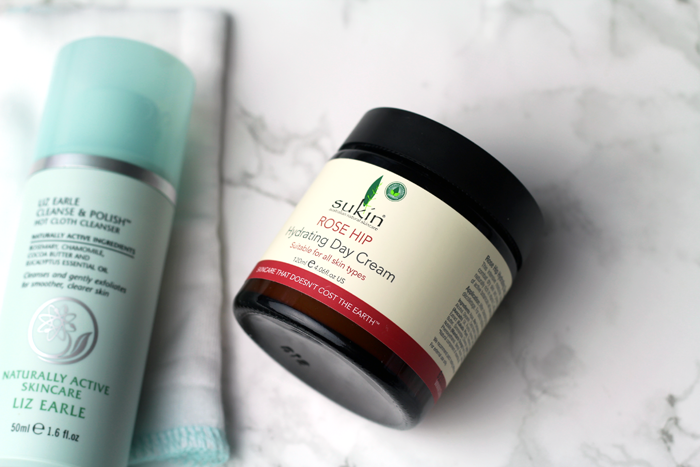 That Rose Hip cream sounds wonderful, I've been on the lookout for a new day cream so may have to sample it myself. I haven't tried any of these yet - but if you're still looking for something for your dry patches, I swear by La Roche Posay Cicaplast on top of moisturiser! I really do want to try Cleanse and Polish. I've been using a No7 Cleansing balm recently and it's absolutely lovely. I personally don't think you can ever go wrong with a hot cloth cleanser - mu skin adores one! 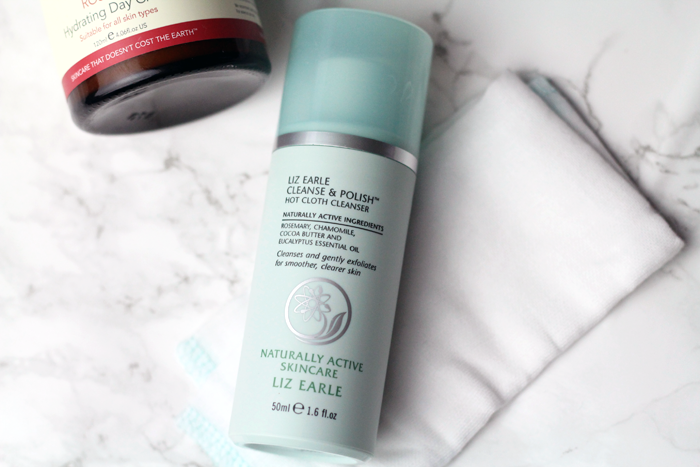 I adore Cleanse and Polish - It's my go to cleanser with my sensitive skin. 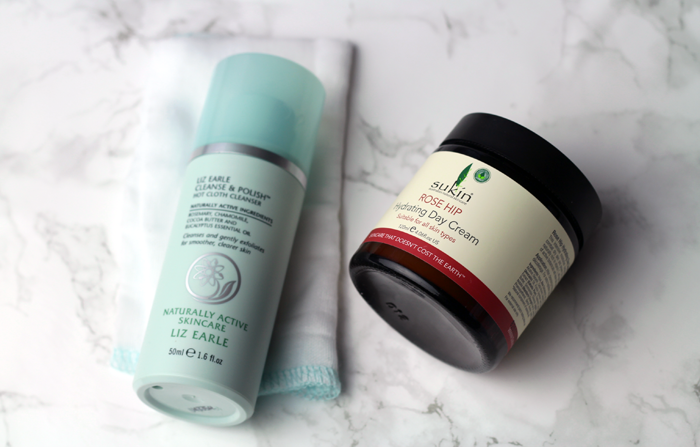 There is noting like rediscovering an old favourite & taking skincare back to basics. C&P has to be one of my all time favourite products. It is so gentle & leaves my skin looking healthy. I hope the simplified routine works well for you! My skin is going through a horrible lacklustre phase with breakouts, and I also find that stepping back to basics helps. I'll use my REN hot cloth cleanser, a fragrance free toner always, the Effaclar Duo and Trilogy's Rosehip Oil before bed and before long things start looking a bit better. Rosehip Oil has made such a difference to my skin so I hope the moisturiser works for you. The texture sounds quite ideal. I am yet to be overwhelmed with the Cleanse & Polish, so there is hope for me yet that I'll be convinced!